The American Veterinary statistics for 2014 estimated that 70-80 million dogs are owned in the United States or about 35% of all households have a dog. The family friendly Labrador Retriever held onto the number one spot on the most popular list of dog breeds for the 24th consecutive year, continuing the longest reign as the nation’s top dog in American Kennel Club history. Meanwhile, the popular French Bulldog continued its quest for the number one spot, breaking into the top 10 for the first time in nearly 100 years. And the American Kennel Club recognized three new breeds, the Rat Terrier, Portuguese Podengo Pequeno, and the Chinook. 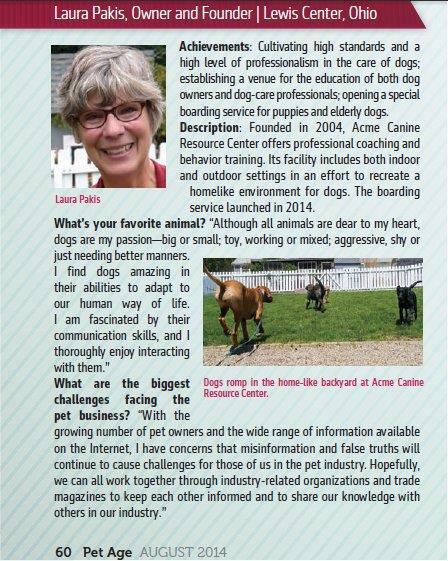 Acme Canine continued to grow in 2014 as well as being recognized nationally; receiving second place in outstanding pet boarding facilities by the national magazine, PET AGE. The website was improved to offer training materials for dog trainers as well as clients. As far as dog statistics, according to the ASPCA approximately 35% of dogs entering shelters are adopted, 31% are euthanized and 26% of dogs who came in as strays are returned to their owner. –A good reason to microchip your dog and keep the information up to date. According to the American Humane Association, the most common reasons why people relinquish or give away their dogs is because their place of residence does not allow pets (29%), not enough time, divorce/death and behavior issues (10% each). 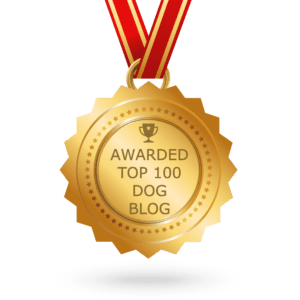 This entry was posted in The History of Acme Canine and tagged #Spike's Blog; 2014 dog statistics, Acme Canine, new dog breeds, number of dogs in households. Bookmark the permalink.